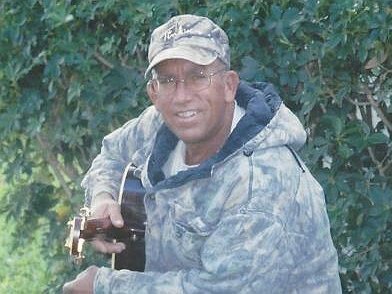 Fred Schroeder, husband, father, avid fisherman, hunter, outdoorsman and lover of life was diagnosed with kidney disease in 2000 – just six months after he and I were married. Following a tissue biopsy in 2001, Fred was diagnosed with membranous glomerulonephritis (MGN). MGN develops when inflammation of structures in the kidney cause problems with kidney function and its cause is unknown. Within six months of diagnosis, we were told Fred would need a kidney transplant. He continued to work until his health finally declined in 2010 due to a blood infection and on Easter 2011 he began dialysis. God has provided the living donor and we are also trusting for His provision with help in paying for this life-saving but expensive procedure. Even with insurance, Fred will have many uninsured transplant-related expenses such as: co-pays and deductibles, doctor visits, traveling to and from the transplant center and the costly immunosuppressant medications that he will need to take for the rest of his life. These out-of-pocket expenses add up to more than the family can handle alone. To help with the financial burden of Fred’s uninsured expenses, a fundraising campaign in his honor has been established with HelpHOPELive, a trusted nonprofit organization that has been providing community-based fundraising guidance to patients and their families for more than 30 years. All donations are tax deductible, are held by HelpHOPELive in the Southeast Kidney Transplant Fund, and are administered by HelpHOPELive for transplant-related expenses only. Please consider making a contribution today and click the DONATE NOW button. Our 13-year-old daughter has never known a healthy father – with your help we can turn that around. Please know that your contribution counts. On behalf of Fred and his family, we thank you in advance for your kind consideration. Feeling so blessed, our donor, Cindy Tracy is recovering wonderfully and left the hospital to go home on 10/16/15. Fred was discharged on 10/17/15 and will remain in Gainesville to be near the hospital for follow up care. His first follow up appointment went well and labs look good. Thank you to everyone for your prayers and financial support.